A menu theme syllabus for middle and high school FACS classes, but can be edited for any class. This one already has the information for the Food for Life Class or Food and Nutrition through the Life Span. The syllabus contains sections for your class website, remind 101 if you are using it, and a coupon for your students’ first grade! 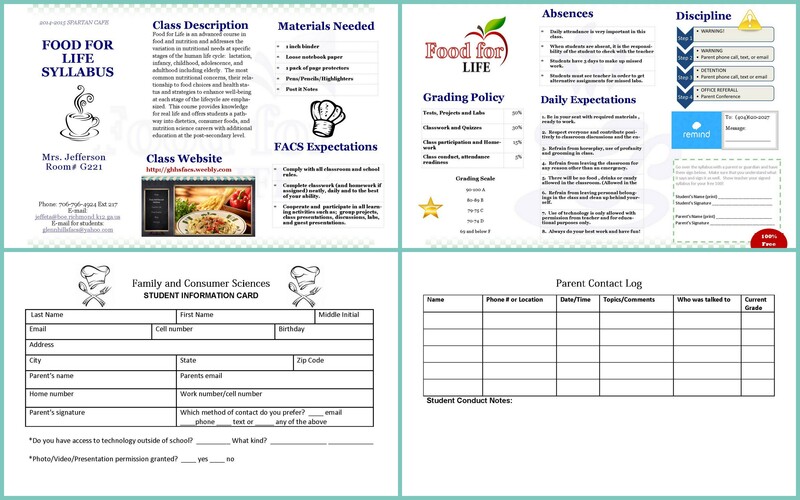 Also included are student information cards that are editable as well and should be printed front and back on 5 by 8 index cards.